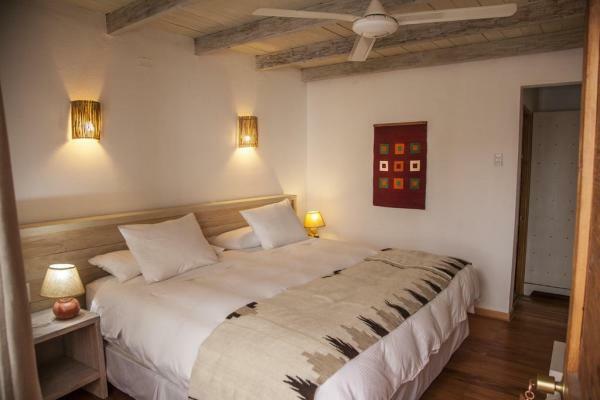 San Pedro de Atacama and Hotel Terrantai Lodge offers you an authentic experience of the Atacama Desert in the north of Chile in all its cultural and natural splendor. 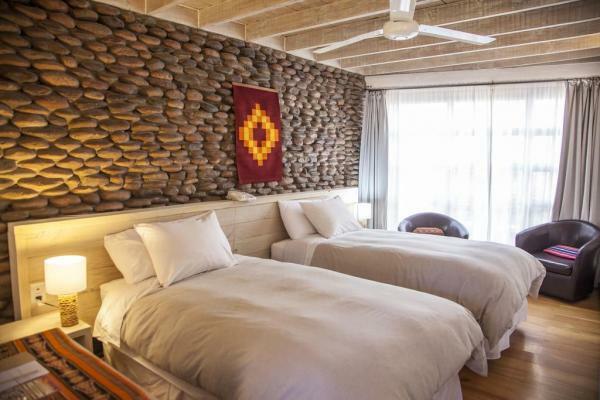 The accommodation of Terrantai Lodge in San Pedro de Atacama is a hotel conceived to honor the spirit of the traditional customs of the Atacama desert while providing the comforts modern travelers expect from hotels in San Pedro de Atacama Oasis on their Chile tour. 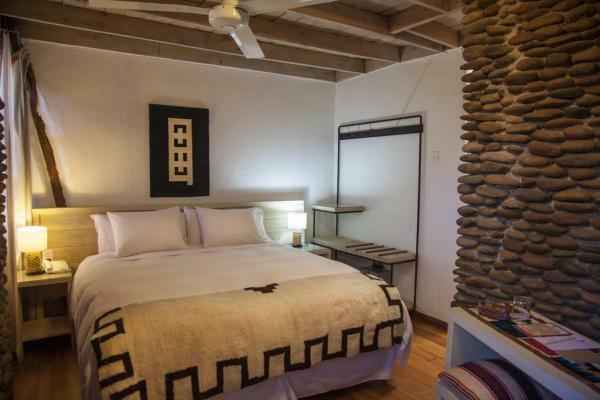 It is Terrantai Lodge's intention to offer an original travel experience to tourists in these sacred soils of San Pedro de Atacama, so far from Europe and North America, in a manner true to the native force of the desert oasis, the Aymara culture and surrounding Andes mountains and altiplano that inspire it. Here you find adventure for the mind and body and relaxation for the soul. Combined with our travel company, Adex, Atacama Desert Expeditions, Terrantai Lodge, from San Pedro de Atacama, our altiplanico hotel offers trips and excursions to the surrounding Atacama Desert, oases, salt flats, salar de Atacama, flamingos, lakes, volcanoes and to the El Tatio geysers and to the magical Valley of the Moon (Valle de la luna close to San Pedro. Even to the geoglyphs of Chile. 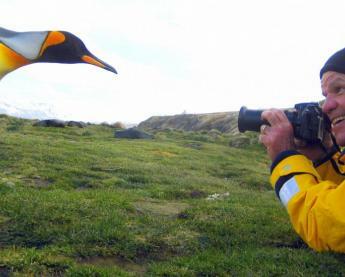 These tours from San Pedro de Atacama to the Atacama Desert can be part of an all inclusive price or can be separate trekking trips into the world's driest desert from San Pedro de Atacama. 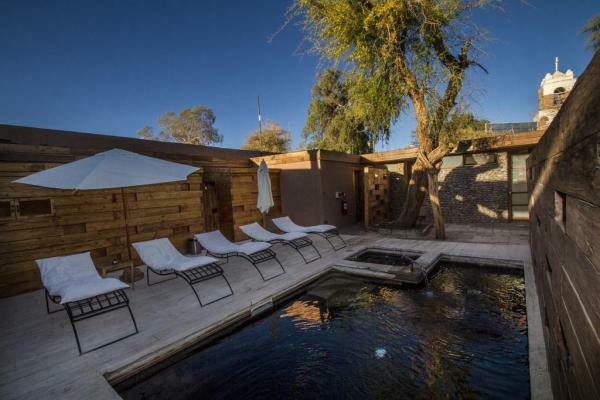 The lodge called Terrantai (people of the earth) is situated in the heart of the village of San Pedro de Atacama next to the village church, just steps from the craft market, and close by the small assortment of restaurants and shops that comprise San Pedro today. 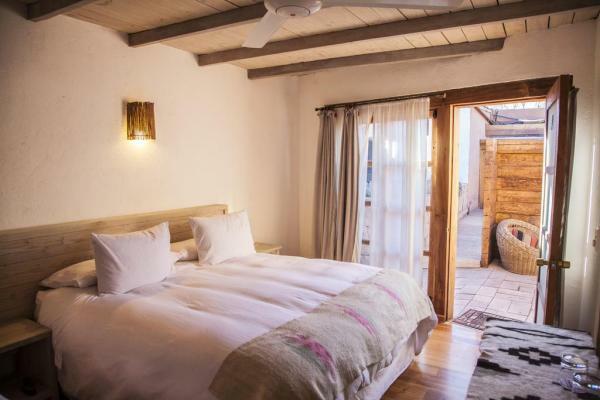 Within its peaceful spaces the inspiration of the lodge, from the breadth of its traditional stone and adobe walls to the meandering layout of its traditional stone passages and patios, will transport you to another world. 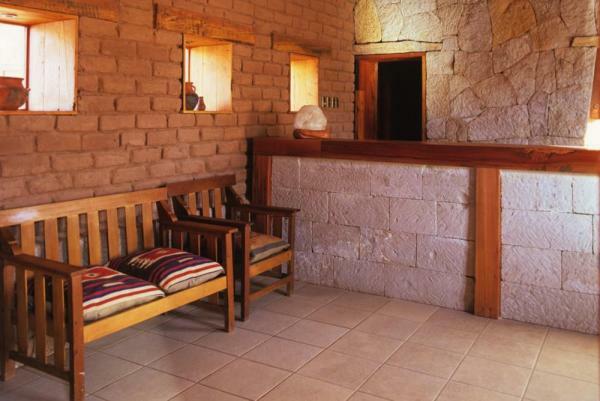 Terrantai was built in San Pedro de Atacama with the materials taken from earth of the surrounding desert. In this way the architect, Matias Klotz, was able to use techniques developed thousands of years ago, with local elders teaching young architects new skills. The stone used in Terrantai is of a beauty that is awe-inspiring. 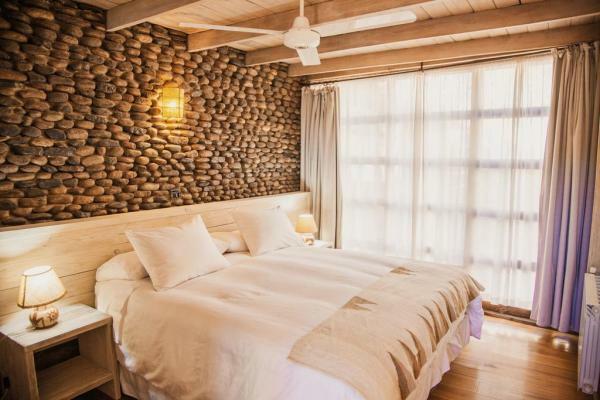 The walls consist of individually selected stones placed with care and adobe prepared under the hot September sun. The roof was preserved from the original house. The owners have tried to preserve their heritage in this building, in order to continue the traditions of hospitality in the comfort and spaciousness, peace and tranquility which are offered here. 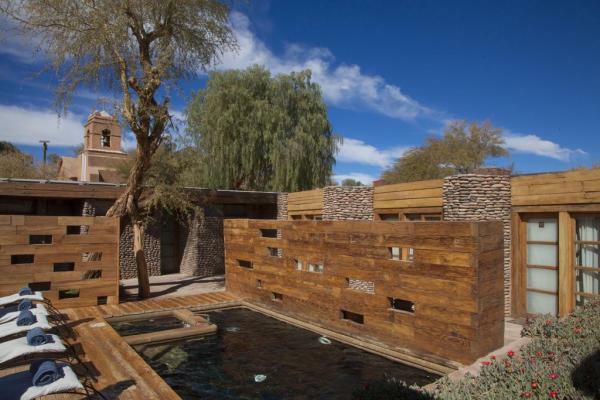 Visitors will find relaxation in the human spaces, the stone alleyways, patios, terraces, restaurant, and beautiful rooms in this building, designed by an award-winning architect using the skills and wisdom of ancestors and inspired modern creativity. The lodge's daily food, from the buffet breakfast with fresh fruits, natural juices, home-made bread and pastries, to meals of traditional Andean fare prepared with local ingredients like quinoa, maize and fresh vegetables, will give you a feeling of wellness that comes from food prepared with care. Wines specially selected from world-renowned Chilean vineyards will be offered to accompany meals. Food and drink were considered sacred by the ancients, and thus they are considered by the chef and his small staff from San Pedro de Atacama. While most guests prefer traditional offerings, which remind the of the earth that we inhabit, there are always alternatives more familiar to guests from abroad. 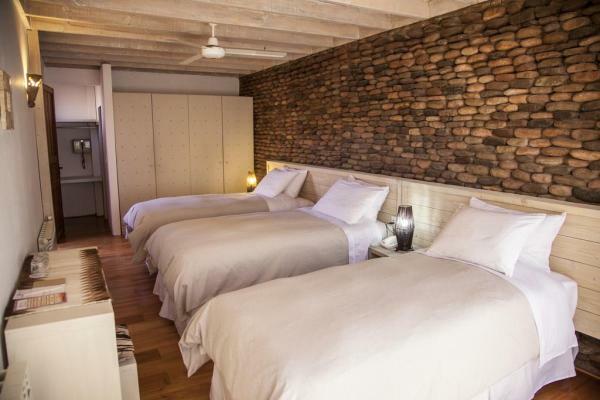 The lodge is keen to look after your needs so that you can enjoy your time and activities to the full while in San Pedro de Atacama. 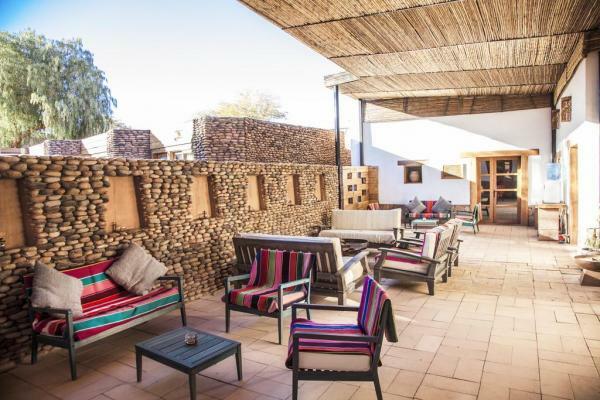 Terrantai Lodge in San Pedro de Atacama is a hotel that offers the peace and tranquility of watching and joining in traditional activities like dance and music. Here you will be free to do as you wish: to enjoy a good book from the library, sit in the shade of the garden, or perhaps to have a stimulating conversation in summer in the refreshing shade of trees or in winter by an open fire. Some evenings there is a fire outside as well as a guitar so that along with quenas (Indian pipes) and zampoñas (panpipes) you can experience some historic Latin American musical specialties here in the desert, in San Pedro Atacama. The Atacama desert is an area full of tradition and ceremony, where the customs of the native people have been preserved. Terrantai Lodge wants to share with you this history, dance and music which come from time immemorial, our native dress and crafts, to show you that this part of Chile has maintained its indigenous past. Terrantai is a hotel built in this indigenous style and operated in a way which is consistent with native tradition and hospitality. 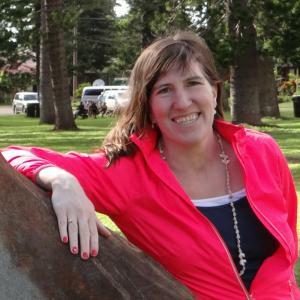 Terrantai Lodge opened its doors for the first time in 1996. 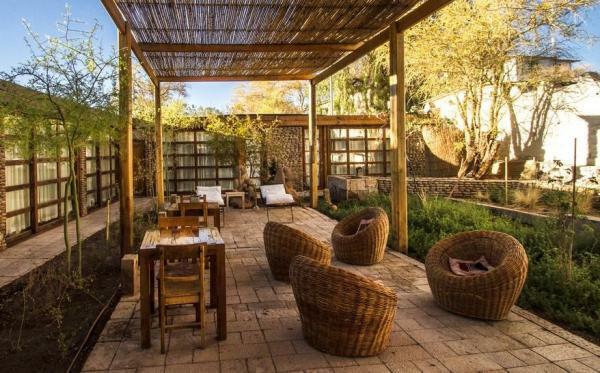 It was founded as a way of offering to visitors to the Atacama Desert a place of relaxation close to the traditional way of life of the indigenous communities of the area. 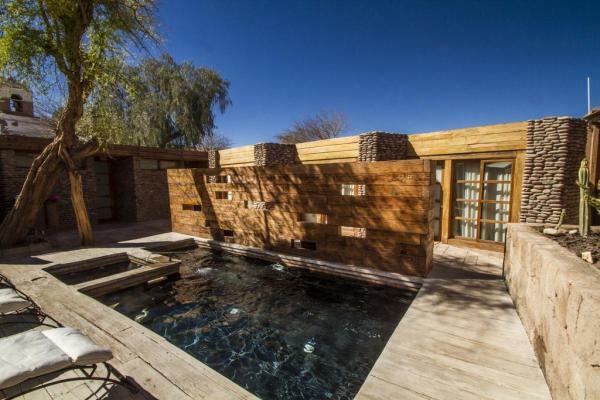 The project was the fruition of the work of Matias Klotz, an internationally renowned Chilean architect, and David Barrera, owner of Terrantai. The result was this place dedicated to meeting the needs of travelers while continuing to be deeply rooted in native culture. Availablility based on length of stay. Renowned as one of South America's finest museums, the Museo Gustavo Le Paige houses an important anthropological exhibit chronicling the region's cultural evolution. 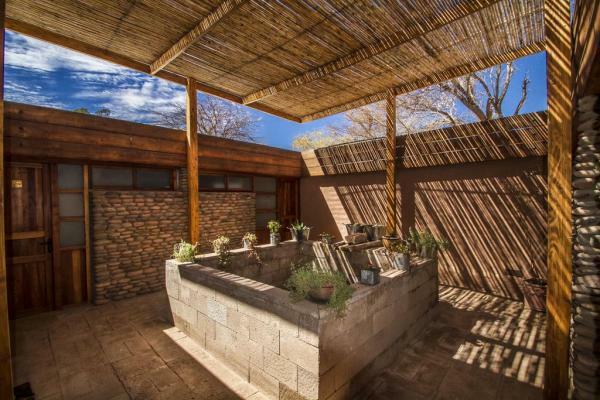 After visiting the museum visit the markets to sample local crafts and continue to visit other historical sites in San Pedro de Atacama. Today we head to the small village of Toconao, well known for its volcanic rock handicrafts. A hike in Quebrada de Jeria gives us the opportunity to see how the villagers use terrace cultivation methods for crops of almonds, grapes, pomegranates, apples and herbs. While we are in the valley there are opportunities for some bouldering or even a swim. 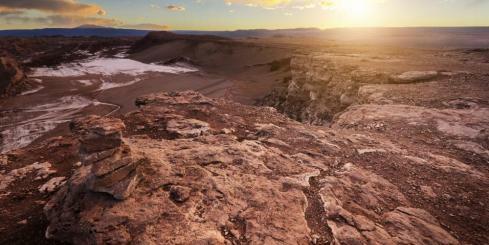 Traveling on, we enter the immense, sparkling white Atacama Salt flat. 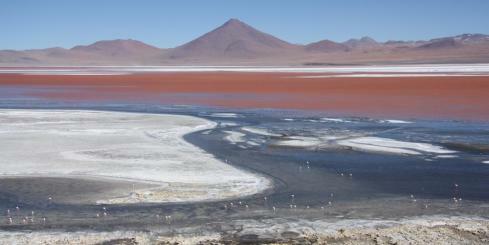 We drive until reaching Chaxa lagoon, where pink flamingoes and other Andean birds nest. Located in the salt mountain range, the Valley of the Moon is an unusual landscape of polychromatic geologic formations, sculpted by the wind over thousands of years. The giant dunes and salt crystal beds are ablaze with color as the sun sets, so we'll stay to see the display before returning to our lodge. Today we rise early so we have plenty of time to get to the El Tatio Geysers. Here we watch sunrise over the world's highest Geyser field. As the dawn breaks, you'll be treated to a stunning sight of steaming geysers set against the azure colored antiplano backdrop. A short hike around the geothermal field brings us to the thermal pools - take care where you tread so as to avoid falling through the thin crust! We return to San Pedro via the Andes, stopping en route to explore volcanic landscapes. Visits to the Ayllus (Atacamens Villages), and we will continue to the archaeological village of Tulor. The village is made of round houses that are connected to each other. The years have left the village covered by sand; excavations so far have found no trace of its former inhabitants.The village has been covered by the sand, without signs of its inhabitants until today. . .And continue to the indigenous Pukara de Quitor. Southeast of our lodge is a group of rocky volcanic columns. With the extraordinary ecosystem of the Tara salt flat as the background, Pakana's Sentinels make for a wonderful landscape. We leave San Pedro on our way to the surroundings of the Yerbas Buenas Gorge. Impressive collection of carved rock designs that educate us about the former social groups in Atacama. At over 14,700 feet, these lagoons are surrounded by impressive volcanoes that originated as the Andes Mountains were created. 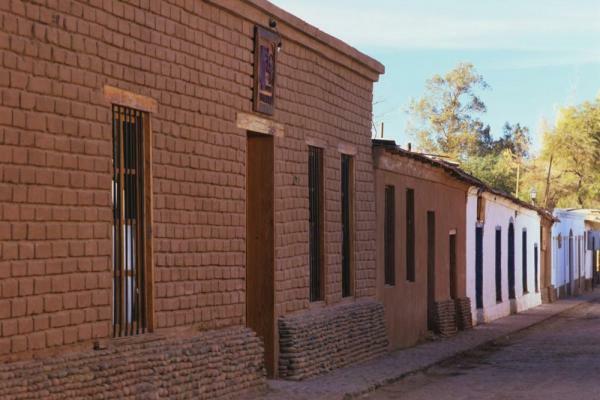 On the way we will also visit Socaire, one of the towns in the Atacama basin. We will begin this long walk in the Gorge of Guatin, where it is possible to see the amazing flora and the fauna. 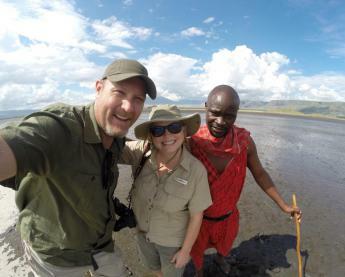 Continuing this route we will arrive to Puritama Hot Spring, a natural hot spring with several pools for a thermal bath known for it's healing properties. 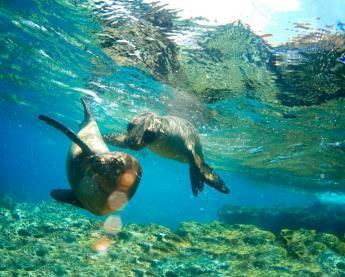 This beautiful natural environment features turquoise waters surrounded by salt crystals of varying shapes. With luck, we'll also see the pink flamingoes that frequent the area.